Welcome to Jindal Impex. Importer and Supplier of Ferrous, Non Ferrous Metals, Scrap and Alloys. The company was established in the year 2003. Our State-of-the-art infrastructure and Global clientele make us unique in the industry. Prompt delivery, Reliable vendors and Ethical business practices make us the first choice of our clients. Our client list covers Netherlands, Malaysia, Russia and America. 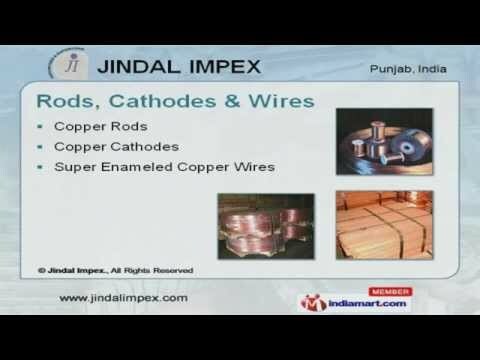 Metal Ingots, Rods, Cathodes and Wires are some of our products. We offer a wide assortment of Ferrous Metal Scraps that are best in the industry amongst others. Our Non Ferrous Metal Scraps are available at industry leading prices. Metal Ingots offered by us are reckoned all over the world for their superb quality. Along with that we offer Rods, Cathodes and Wires that are a class apart.